The Whirlwind MK4 Series Accusonic+2 Microphone Cable [30' (9.1 m)] is built with Accusonic+2 cable and fitted with Whirlwind XLR connectors for consistent peformance under the harshest conditions. Box Dimensions (LxWxH) 9.5 x 5.8 x 0.8"
Accusonic+2 XLR Male to XLR Female Microphone Cable [30' (9.1 m)] is rated 5.0 out of 5 by 2. 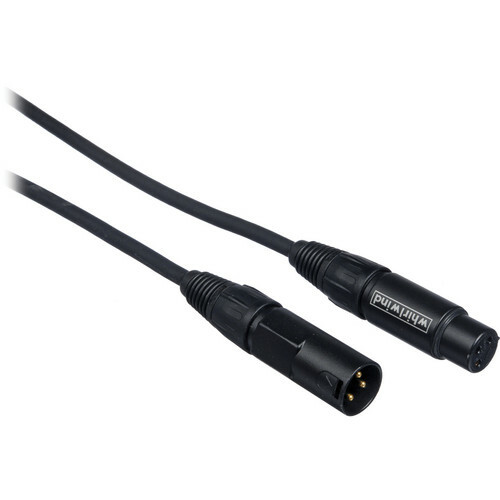 Rated 5 out of 5 by TheBear from High quality construction Use these to connect the Line output from an electronic drum monitor (used with my Roland V-Drums) to a Yamaha analog mixer. Work great. Rated 5 out of 5 by Jack from best mic cords on the planet! Love the mk4 mic cords, best there is for my dollar! Hello...is this for 1 or 2 cable? The (+2) is a little confusing...thanks. I'm not sure what the +2 is for either. Its just a standard mic cable that we use for live sound.